The Politics of European Integration The debate over European integration is a central issue in the study of contemporary Europe. This book guides the reader through the most important of the integration theories and academic literature on this topic. The debate over European integration is a central issue in the study of contemporary Europe. This book seeks to guide the student through the most important of the integration theories and academic literature on this vital topic. 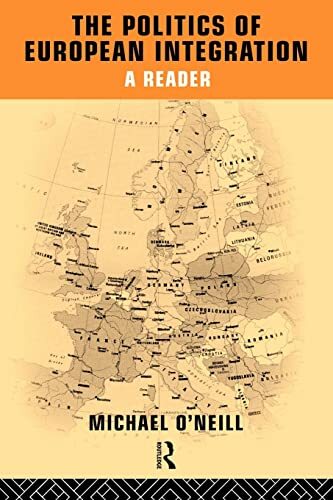 The reader starts with an expansive and wide ranging introductory essay which offers a clear overview and analysis of the shifting terms of the debate on European integration during the post-war period. Part two provides key extracts from the seminal authors who have contributed to and fashioned this debate throughout its duration. It brings together the most important parts from the most essential and influential literature on this important topic. This reader will be of value to the growing number of students, at both undergraduate and postgraduate level, who are undertaking courses in European studies and European politics. It will be especially useful to those who require some knowledge of the origins and developments of this important issue at the centre of the debate over Europe.